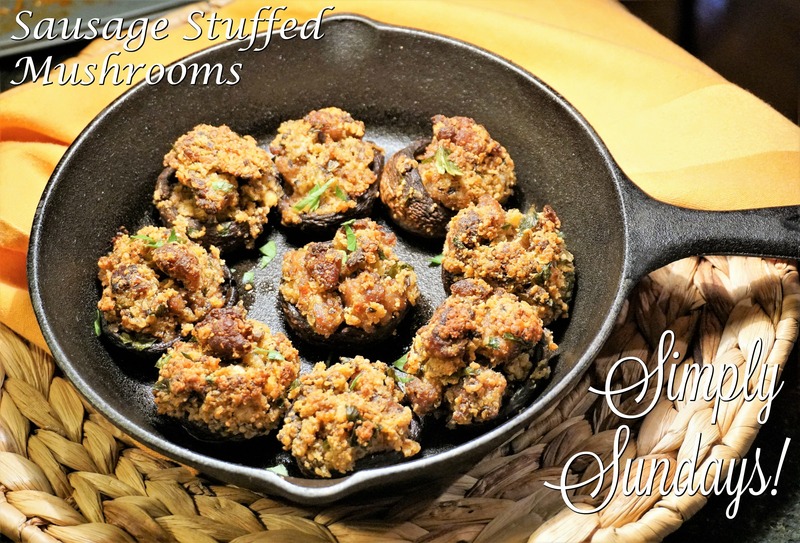 Sausage Stuffed Mushrooms – Simply Sundays! A stuffed mushroom is a stuffed mushroom, right? Well, that’s what I thought and boy was I wrong! My sister, Liz, made these Sausage Stuffed Mushrooms and once we tried them were hooked! Don’t be afraid to overstuff them! Go on, take a bite. You know you want to!